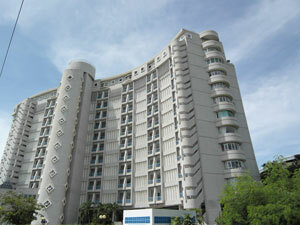 This is a very nice location of Peak Condominium on Pratumnak Hill. 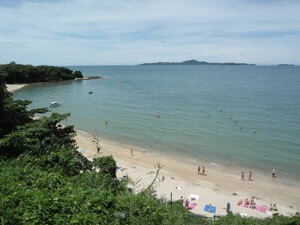 Very close to cosy beach in an area we like to call little San Francisco because of the hilly area of Pratumnak Hill. Just down the road from the famous cosy beach hotel. Close by is also PEACH - Pattaya Exhibition and Convention Hall - and Royal Cliff Resort. Cosy beach is one of the finest beaches in Pattaya, and Pratumnak Hill is the preferred location for many foreigners who are looking to rent or buy a condo with sea view. 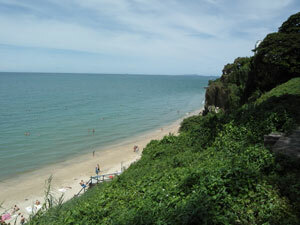 The area has everything you need but without the traffic and noise of south or central Pattaya. You will find nice bars, restaurants, massage parlors and everything else that Pattaya has to offer in most areas. Click here for a Map and the location of Peak Condominium. Opens in a new window. 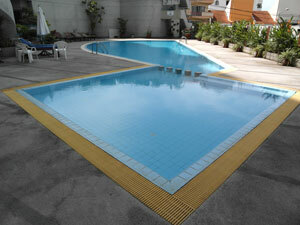 large swimming pool, jacuzzi, steam room, restaurant, 24 hour security, CCTV system.